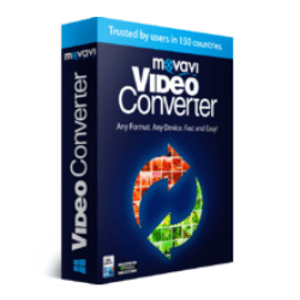 Movavi Video Converter is my first choice and it’s our best video converter software in 2018, Movavi is the most professional video program designed for Converting different video files , This new version introduces a number of usability improvements and powerful features, with high speed video processing, and Ripping DVD-Video discs into different video formats for various video devices and Mobile phones, add to that Movavi Video Converter scored excellent at converting speed and it’s the lightest running video converter software on CPU and memory. 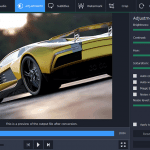 Movavi Video Converter powerful innovative new features, Excellent speed, and easy to upload to YouTube, make it our best Video Converter software. AVI, MPEG 1,2, MP4, WMV, 3GP, 3GPP, 3GPP2, MOV, QT, FLV, M2T. Movavi Video Converter v17 has a nicely revised work-space, and it can rips video from unencrypted DVDs and converts into any media format. It features quality loss transference of multi-channel audio from DVD when you rip video and convert to AVI format. 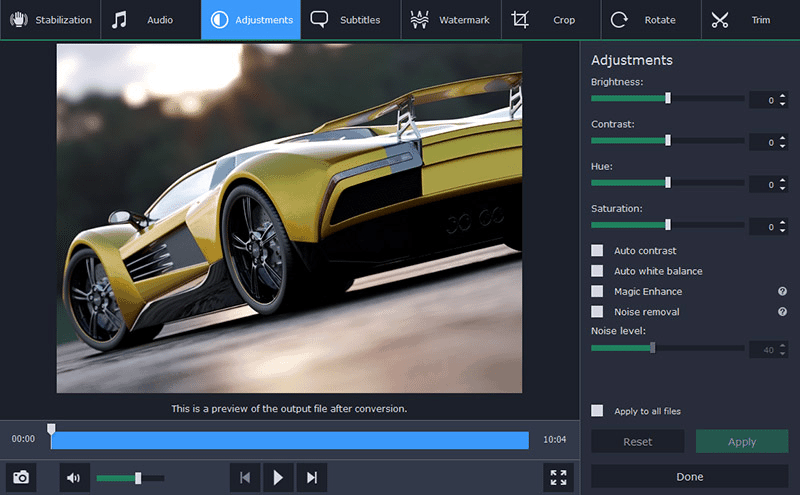 One of the new features that you can convert regular movies, clips, or sports videos to cutting-edge 3D for and Check the result with the instant 3D output video preview. Adjust 3D parameters for your individual perception of three-dimensional images. The new Automatic BitRate Selection , which you enter by clicking the icon button at the top, lets you convert video to MPEG-4, MPEG 1-2, H.264, WMV, or FLV (with H.264 CODEC) with the same input and output video parameters, with good balance between size and quality of the converted video by automatically selecting the optimum bitrate values. If you’re not sure which bitrate is the best, just choose “Auto” bitrate in the Settings window. Unlike other video converter software , new users can easily understand Movavi features. also users will like the conversion speed with optimization for multi-core processors, which ensures smooth and efficient decoding, previewing and simultaneous conversion of multiple media files. The HD workflow will allow you to Converte video to and from high definition video formats. in full HD quality without any loss in performance or quality. As we mentioned before with Movavi you can rip video from un-encrypted DVDs and converts into any media format plus you can do some minor video editing and enhancement by Split files into smaller sized files for smooth playing on mobile devices, split large files into parts for burning to DVD., Tweak your video with easy-to-use editing video tools: crop, rotate, add watermark, automatically enhance the video quality by adjusting the brightness/contrast and using artistic effects. Movavi Video Converter is a complete video converter software and has excellent speed and powerful advanced features to convert your video’s and supports many file formats and devices, this make us to choose as our best Video Editing Software in the market.